The Argument In Favor of: Computerized electronic medical records (EMR) will improve quality of care. EMR facilitates streamlining administrative processes, reducing overhead. Accurate and quickly accessible patient health information is a prerequisite to timely, informed, patient-centered medical care. Numerous studies have shown that CPOE can reduce medication errors and adverse events as much as 99%, increasing safety and reducing costs. (1) The ability for practitioners to access the same record in real-time from multiple sites or to send a record electronically to another provider puts potentially life-saving information where it is needed most. Decision support systems built on top of EMRs can support care by managing clinical complexity, controlling cost by suggesting less expensive alternatives, catching drug-drug or drug-allergy interactions, and promoting best practices. (2) EMR can help empower patients by connecting them to tailored health education materials. Other information intensive industries spend approximately 10% of their budgets on IT whereas health spends only 3%. If the health sector spent similarly, it would be able to realize significant gains. The Argument Against: Electronic medical records rarely improve medical care and can even make it worse. Jeffrey Linder et al found that there was no association with presence of EMR and quality for 17 different measures, and this has been confirmed by other studies. (3) Providers who have experienced gains are generally academic medical centers whose results are not reproducible outside of that setting. In one example, Children’s Hospital of Pittsburgh rolled back a multi-million dollar CPOE implementation in the pediatric ICU after it was discovered that mortality had increased. Physician productivity can drop as much as 20% for the first 6 months after EMR implementation. A good ROI has generally only been obtained by large, integrated networks through savings on administrative overhead. Until technology systems mature and implementation processes improved, resources would be better invested elsewhere. A Potential Synthesis: Electronic medical records are an enabling technology that supports cost-savings and quality improvement processes only if meaningfully and effectively used. David Cutler maintains that other industries required ten years to realize industry-wide gains from the use of information technology. The health sector started using IT later than other industries, but will be able to realize significant gains after clinical workflows and local cultures adapt. EMR data enables providers to do monitoring and evaluation and quality improvement that would not be possible otherwise, but business processes must be modified to take advantage of them. Providers should first implement technologies and features that have proven to be effective, such as CPOE, automated prescribing and dispensation. National “meaningful use” regulations, while imperfect and politicized, help guide physicians, health system planners and vendors on methods to increasingly leverage technology to improve health. 1. Koppel, JAMA 2005; Bates, 1998; Pestotnik 1996. 2. Perreault L, Metzger J. A pragmatic framework for understanding clinical decision support. 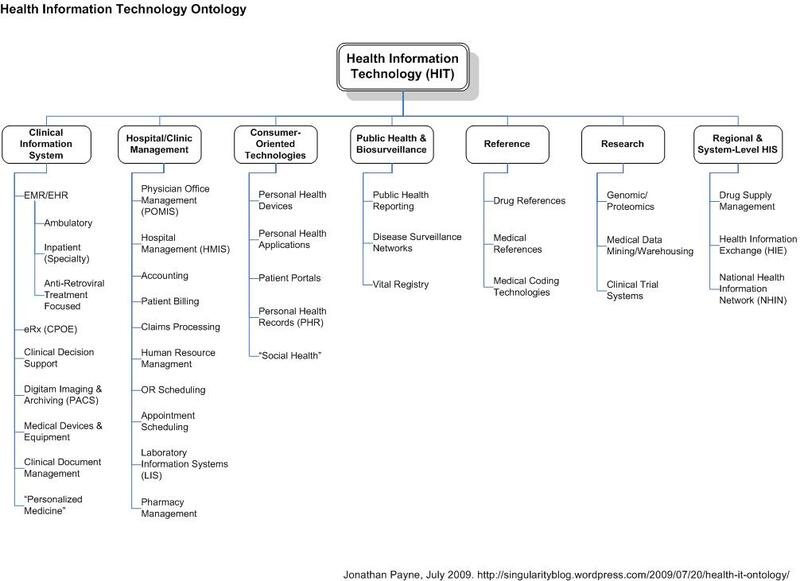 Journal of Healthcare Information Management. 1999;13(2):5-21. 3. Jeffrey A. Linder, MD, MPH; Jun Ma, MD, RD, PhD; David W. Bates, MD, MSc; Blackford Middleton, MD, MPH, MSc; Randall S. Stafford, MD, PhD. Electronic Health Record Use and the Quality of Ambulatory Care in the United States. Arch Intern Med. 2007;167(13):1400-1405. I worked in Fall 2007 as an information systems architect with IHNFA, the Honduras department of child and family services, and Providence World Ministries, an orphanage in Siguatepeque, Honduras, to design a national system to facilitate adoptions and develop case files for children at risk. I wrote this white paper, HIS for Children at Risk in Honduras, to discuss unique factors of implementing the health component of a national child welfare information system in a resource-poor setting. This paper connects the research of Theo Lippeveld at John Snow International with recent international and national initiatives to reform child & family services. For those who have been waiting for a good summary of my work in Honduras, this is a good start. I look forward to hearing your thoughts.